Madras Pioneer sports editor can't pass up opportunity to play down an incredible local mountain. 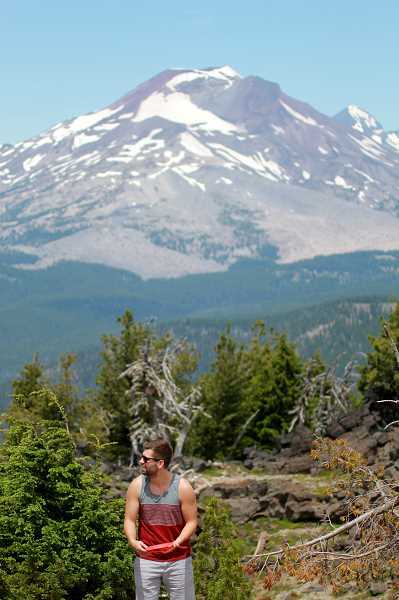 Mount Bachelor is known for its popularity in the winter. 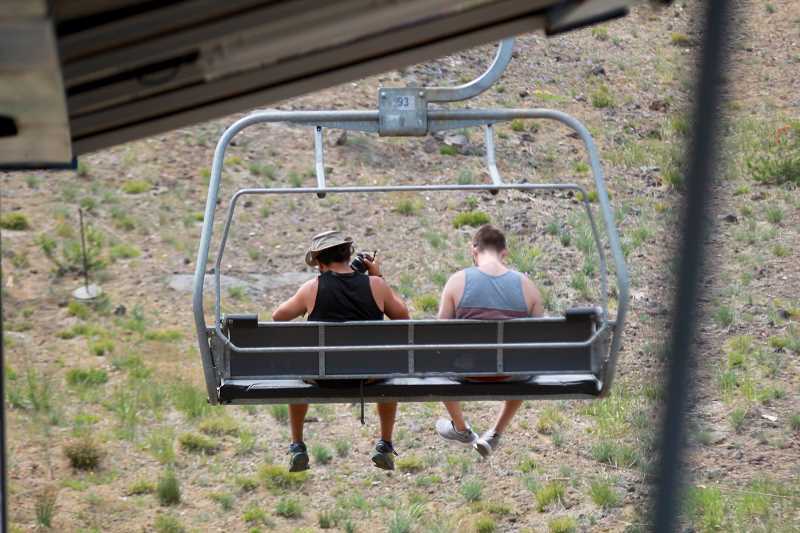 Whether you are a snowboarder or an avid skier, but what does Mount Bachelor offer in the summer? The main attraction was the amazing mountain biking course, where people of all ages were geared up and ready to hit the course. The other was the rigorous hike to the top of the mountain and the steep decline on the way down. 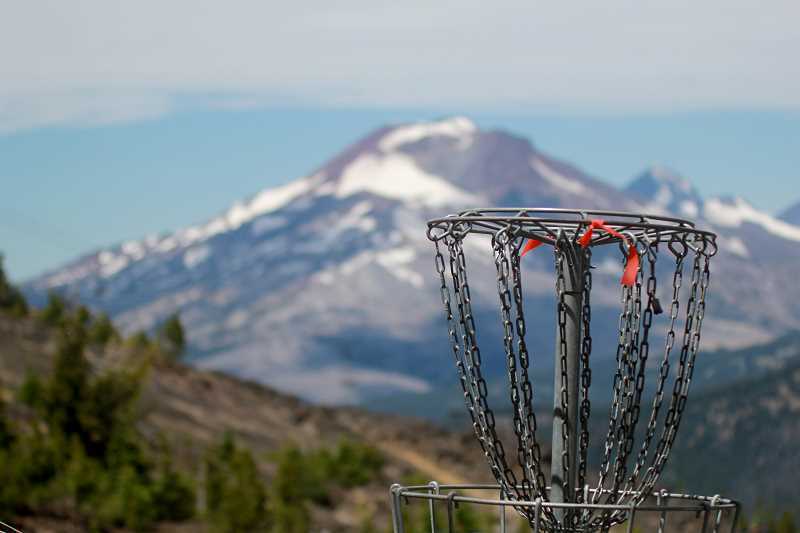 One of the attractions that my friends and I were interested in was the disc golf course starting on the top of the mountain and ending at the bottom of the mountain. On one of the hottest Central Oregon days in the summer, my friends and I decided to go on an adventure to the top of Mount Bachelor and see if we could play the course back down. 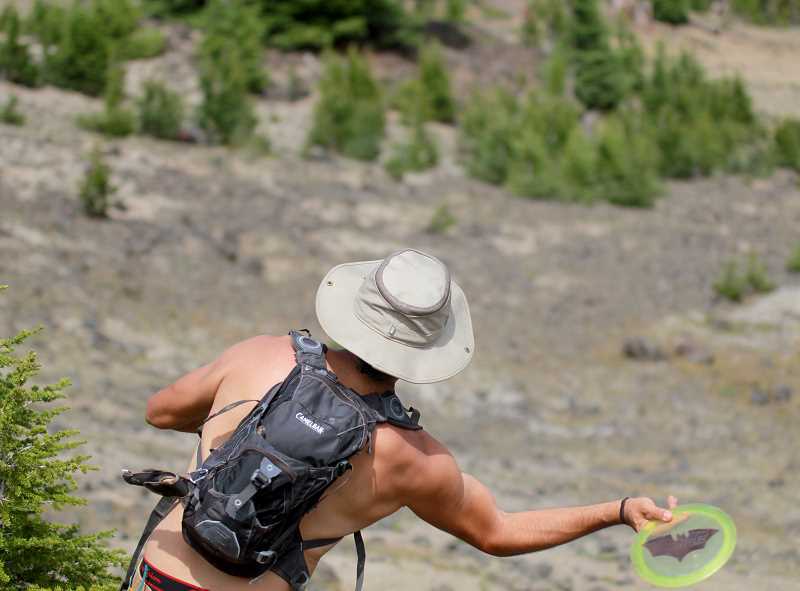 I would consider myself an experienced disc golfer and have been to every disc golf course in Central Oregon. I have also been to many courses around Oregon from the Portland area to different places on the Oregon Coast, but I had never been on the Mount Bachelor course and was ready for the challenge. The nine-hole course at Juniper Hills, here in Madras, is still my favorite to play. It provides challenging holes, with some difficult obstacles, which allows for a fun, yet challenging time. If you've been to the Juniper Hills disc golf course frequently or have paid really good attention, you can find a secret back nine course. The secret back nine is for players who have finished the front nine and are still wanting to play. After you finish hole nine, there is an arrow pointing to hole 10, with what looks like a fan made (not park made) starting pad, with rocks and railroad logs. The back nine is similar to the front nine, starting with a slight incline hike making it a hill. In the middle, you get to play down the hill and the end, you finish on flat terrain. The only difference is the starting spots are in different places, making it a little more difficult than the first nine holes. If you do not know what disc golfing or known by other names like frolf (Frisbee golf), it is quite simple. You play a course on either nine or 18 holes and the rules are just like golf. You throw a disc at a metal net and cage with other competitors. The goal is to try and make it in the basket in the fewest amount of throws. It is a really fun way to get out and have some fun with your friends while enjoying nature. The best thing about disc golfing is once you get the proper discs, the courses are free. Just pack some water, tighten your shoes and pick a course. Mount Bachelor is about 75 miles from Madras and takes around an hour and thirty mintues to get there. The first thing we did was head to the lodge and buy a lift pass. A one day lift pass, which you can use all day, costs $20 for an adult. Once we had our passes, the lift took us slowly to the top of the mountain where were able to enjoy some amazing views. At the top, you will find the first hole on the right side of the lift and from there the fun begins. The first four holes are flat; you stay on top of the mountain, playing between small snow patches. The holes are difficult to find and will take some time searching, but this will give you time to enjoy the breathtaking views that surround you. Holes 4 through 8 are the beginning of your adventure down the mountain, with slight decline and some lava rocks you will have to walk on. Again the holes are very hard to find, but worth it once you find them. The back nine holes are the best part of the course, straight down the mountain. The baskets are easy to find and very far awaw, with a steep decline of elevation on every hole. Around hole 12, it started raining and thunder was starting to rumble around us. The mountain closed down the lift until the thunder was gone and we decided to take a short break as well. So beware of sudden weather changes, because with four people, the course took us around two hours to finish, which is plenty of time for the Central Oregon weather to make a turn. After finishing the last hole, hole 18, you feel a sense of accomplishment, now being able to say you played disc golf down a mountain. During the course, I was able to talk to current Bend resident and avid disc golfer, Derek Duenas. "I really liked this course because it wasn't really like any courses I have done before," Duenas said. "It was completely unique. The beautiful backdrop of Central Oregon, with the consistent elevation drop made for a challenging, but amazing day spent with even better friends." If you decide to go on this incredible course, I would suggest wearing appropriate footwear, taking lots of water and food and being ready for some exercise. Even though the terrain can be rough, the baskets hard to find and elevation declining dramatically throughout the course, I would highly recommend going out and trying it yourself. With the breathtaking views, exercise and wide-open holes down a mountain, it is well worth the trip. Where else can you go to a mountain and disc golf down it? Definitely something you will remember for a long time.